This cuff is twice the width of the narrow inspiracelet cuff. 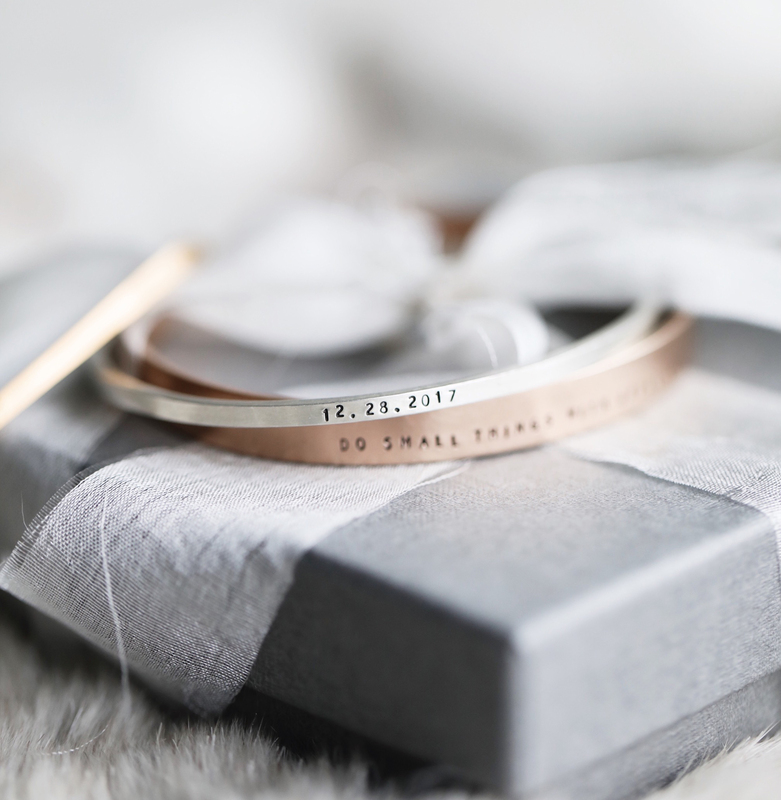 Each letter is individually stamped by hand, making each cuff one of a kind. 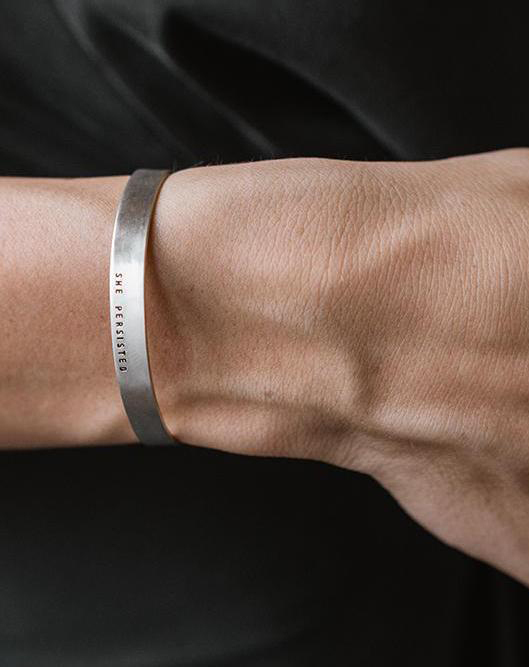 The message is left justified atop the wrist on a hand formed bracelet.